I didn’t make tabbouleh this weekend. I made a salad that tastes a whole lot like tabbouleh. 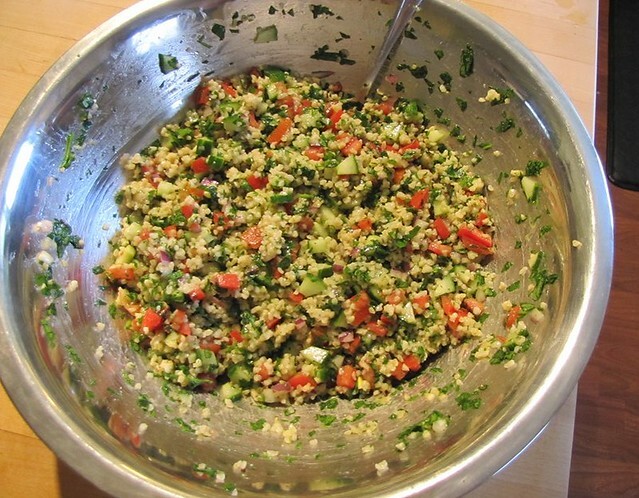 And it looks…a little bit like tabbouleh. But it’s not tabbouleh, in the truest most traditional sense. And I’m okay with that. Start with bulgur wheat, cooked. I get mine from the bulk bins at my local grocery store. Cook 1 cup of bulgur in 2 cups of water at a low simmer for 15-20 minutes or until the water is absorbed. Set aside and let cool. Now get to chopping. Seed and dice 1/2 english (hothouse) cucumber, finely dice one half a red onion, dice 4 plum tomatoes, mince 2 cloves of garlic, and finely chop a large bunch of italian parsley. 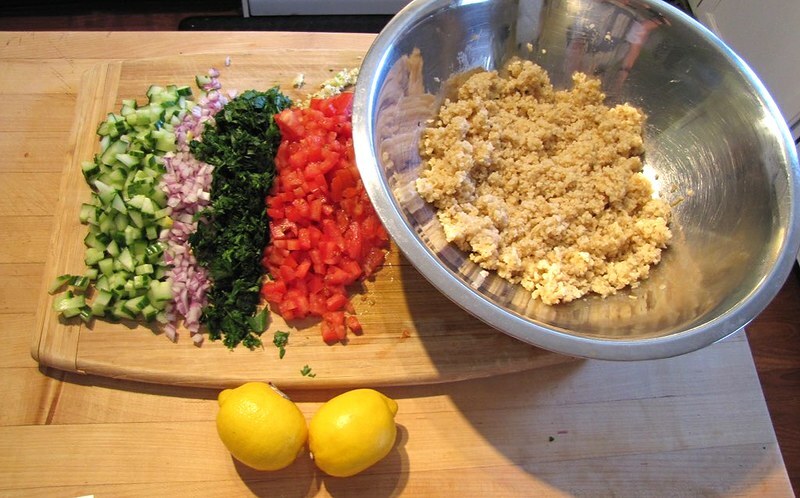 Toss all vegetables with the bulgur, dress with 2 TB olive oil, the juice of two lemons, and season with salt and pepper. Serve as is. 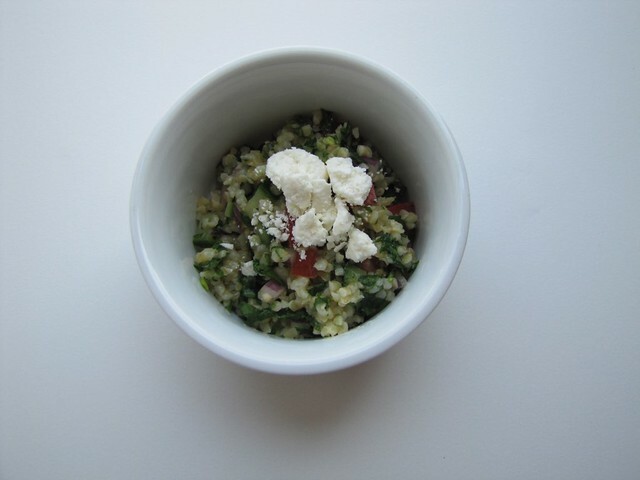 Or throw tradition totally out the window and top with a little crumbled feta cheese. Because who doesn’t like a little culinary anarchy every now and then? Cook bulgur according to directions. Set aside and let cool. Add all vegetables, olive oil, lemon juice, salt, and pepper. Stir together and refrigerate for a few hours to let flavors combine. Top with crumbled feta (if desired) and serve.